A San Diego lawmaker challenged the head of the National Park Service's grim predictions of the effect spending cuts would have on hundreds of parks across the country. 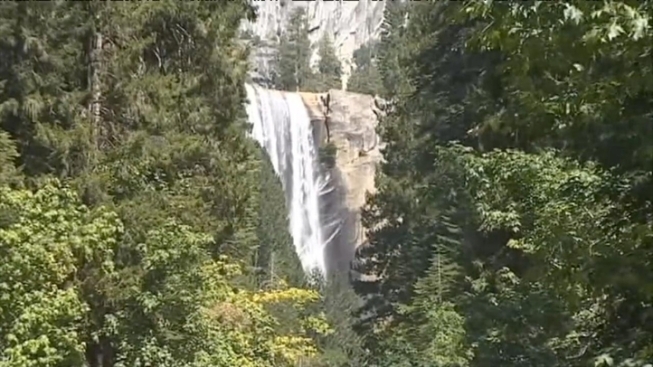 U.S. Rep. Darrel Issa, the chairman of the Oversight and Government Reform Committee, said that Park Service Director Jon Jarvis fed fears that trash would not be picked up, bathrooms wouldn't be cleaned, and access roads would go unplowed. In fact, Issa said, a representative from the Park Service's budget office told the oversight committee's staff last week that 99 percent of park visitors won't even notice the effects of the budget reductions. "That's a far departure from Director Jarvis' public statements," Issa said. Jarvis did not directly address Issa's criticism, but provided the committee with a lengthy opening statement that detailed the effects of the $153 million cut the agency is being forced to take through the end of September. More than two thirds of the total will come from the agency's operating accounts, Jarvis told the committee, which means that each of the 398 national parks and agency programs is required to shave 5 percent of its budget, he said. The Park Service took a series of belt-tightening measures last year -- before the spending cuts appeared to be inevitable -- to deal with the possibility of smaller budgets, Jarvis said. He estimated these steps, which include leaving close to 900 permanent Park Service jobs unfilled, hiring a thousand fewer seasonal employees, and cutting back on travel, overtime, supplies and equipment, will generate more than $63 million in savings. "The impacts of not filling permanent positions will be felt throughout every area of park operations," Jarvis said. The automatic cuts, known as sequestration, kicked in on March 1 and are the result of Congress' failure to trim the deficit by $1.2 trillion over a decade. Federal agency budgets will be cut by $85 billion by the end of September, with the total split between the Defense Department and the rest of the government. Additional spending cuts would come in future years as long as the sequester remains in effect. U.S. Park Police will be the only permanent employees who have to be furloughed, Jarvis said. All 767 Park Service employees and officers will be furloughed for 14 days in order to get $5.1 million in savings. Leaving so many permanent positions unfilled and having fewer seasonal employees will mean delayed road openings, reduced hours of operation for park programs and services, and fewer patrols, Jarvis said. Vacant natural resource management positions will make it difficult for parks to collect water quality data and monitor the condition of threatened and endangered species. Guided park programs and opportunities for direct contact with park rangers will also be reduced, he said. Some maintenance and repairs at parks will be deferred, Jarvis added, and there will be decreases in janitorial services for comfort stations and other public facilities.